With the new year, I had a handful of clients do a bit of rebranding, and with that usually means new merch. Unlike before, and reasonably so, most people don’t want to buy a bunch of merch in bulk, only to see it sitting in their closet for months, and then end up giving it away with other purchases. There’s a smarter way to handle selling merch to your followers and fans, and I’m here to share it with you! Below are real strategies I’ve used to create great new merch for my clients that they love (and buy)! For today’s post, I will specifically focus on t-shirt’s, but this could be applied to other types of merch, like bags, glasses, hats, etc. Let’s do this! 1. Picking your design – One way to really engage your fans and slap on a slight guarantee that they’ll love it, is to involve your fans into helping you pick your merch design! People love to give their opinion. 🙂 Some guidelines in sending out the options after you’ve narrowed it down with your designer. a. Give options, but not too many. 3-5 design options is more than enough, otherwise, you may not get enough strong feedback on one and will have gotten nowhere with the survey. Keeping the options limited will help find the winning design quicker. b. Allow them to pick one only option. Have your fans pick one, or rank 2 options. Doing ranges of 1-10, for example, will only blur the end results. Keep it clear. c. Ask your email list, but also ask on your socials. Instagram has a great poll feature on their stories option. You can also send them to a survey, which you can create for free at SurveyMonkey.com. Try to get as many people to take your survey as possible! 2. Setting up the Pre-order – what is the best way to take these pre-orders? I really recommend using Bandcamp if you have a store set up. What I like about it is that you can specify the date you are going to start shipping out (estimate is fine based on when you will order/get the shirts delivered to you) so that it’s clear to customers when they should expect their shirts. Bandcamp is useful in that it will organize your orders and you can even print labels from their back end. If you don’t have a Bandcamp store, you can use your website store (Woocommerce plugin for WordPress users, Bandzoogle store, or Weebly store, etc.) but just be sure to make it clear in the description and title that it is a pre-order so you don’t have customers emailing in confused, wondering where their order is! I have used a Paypal.me link as well to handle pre-orders. The issue is you have to ask them to give their size, color, etc. options afterwards since you can’t have them select that when they pay. It can work, but you might have people purchase without information given on their choice and you’ll find yourself chasing them down for their shirt size. 3. Promote the Product – If your budget and timeline allows, order some samples to show off and use as promotion to your fans. People will more likely order something if they get a sneak peek or real look at the item, and if you’re wearing them too! Printful.com does one-off printing and give you a 20% discount and free shipping on 3 different items to see your product beforehand. This is also great if you are trying to decide on a type of shirt or item. 4. 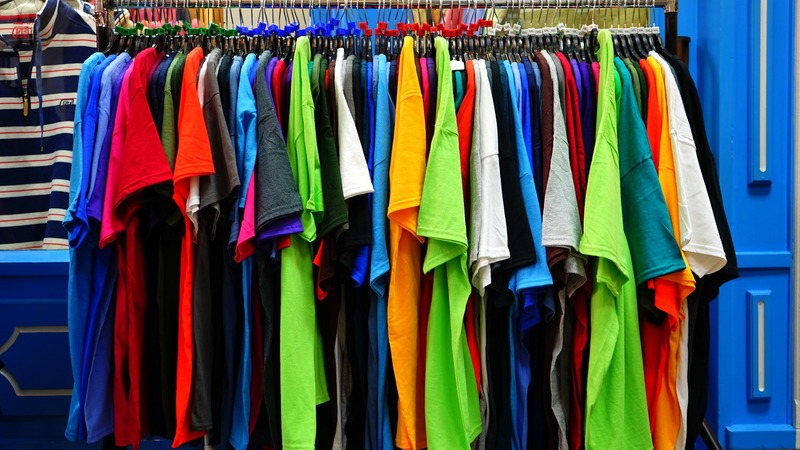 Pricing Your Merch – When pricing your shirts, be sure to think of all possible hidden fees. Shipping fees from your manufacturer. The packaging itself for the item. Your time going to the post office or printing off labels should also be factored in. Try to get in a range where you feel comfortable with what you are charging for the item and where you get enough back to make it profitable for you. 5. Create An Incentive – To up the ante on a pre-order, offer either a special price, free shipping or even better, throw in some extras when you ship the item. Think of bracelets, stickers or any other light item that won’t add extra shipping costs to surprise your early supports of the merch item! 6. It Doesn’t Stop At The Post Office – It shouldn’t end at the customer receiving the shirt. Include a handwritten note saying how much you appreciate their support and to share online and tag you (this creates an effect of more people wanting the item, too). Include a coupon code in the package that gives them 10% off any item in your store. Aim to keep the relationship going and strong with your fan after they receive the merch! Using these strategies, I’ve seen 50+ orders in a matter of weeks, fan engagement grow, and lots of shipments out the door! Stay smart in your merchandise endeavors, and it will certainly pay off.